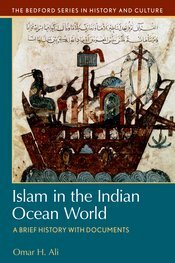 This volume provides an understanding of how Islam changed the Indian Ocean world and vice versa — a world historical lesson that stretches across several centuries, a vast ocean, its littoral, and in some cases well into the interior parts of this world. It underscores the role of Islam as a religious, economic, social, and political force in the Indian Ocean world. This title is useful both for instructors who base their approach to world history on encounters and connections and to those who use a civilizational model and need help in showing such connections at key historical moments. Including accounts from Muslims, Christians, and Buddhists, the documents highlight a complex and nuanced picture of the spread and influence of Islam. Document headnotes, a chronology, and analytical questions help students to place the spread of Islam across the Indian Ocean world in global historical context.